Your credit score may seem like just a number — but, it’s a number that holds a lot of power over almost every single aspect of your life. If your credit score is too low, it can affect everything from your ability to buy a house to whether or not you can buy a couch. Because of this, it’s important to make sure you’re doing everything in your power to keep your credit score nice and healthy. Not sure how to give your credit score the boost it needs? Here’s everything you need to know about how to get excellent credit in three easy steps. Sometimes, whatever is responsible for messing up your credit score is not your fault at all. Bank error or fraudulent charges on your credit card can also be to blame for low credit — and it’s your job to keep an eye out for these kinds of irregularities. Keep tabs on what you use your credit card for each month. Whether you’re using it for groceries or gas, save your receipts and keep a note of where you used it, what you used it for, and exactly how much that item cost. When you get your credit card statement each month, take the time to sit down and go over it item by item. If you spot a fraudulent charge or a double charge contact your bank immediately. You should also keep tabs on how much you pay off and when submit payments to make sure your bank doesn’t make an error either. One of the easiest ways to boost your credit score is by submitting your payments on time every month. Which, is something easier said than done. Life can be hectic, so it can be easy to forget or overlook a due date occasionally. And, while one or two late payments won’t do irreparable damage to your credit, consistently missed payments can kill a credit score. Set reminders for yourself a few days before and on the day your credit card payment is due to make sure you don’t miss paying your bill. Make sure to keep tabs on how much your statement is for as well and set that money aside. By doing this, you can guarantee that you have enough cash on hand when the due date rolls around. Finally, having a lot of accumulated credit card debt can tarnish your credit score in ways that can take years to fix. So, your first step in boosting your credit score should be to pay off your cards almost entirely. You should always strive to keep the amount you owe on your card after payments below 30% of your limit. Even if you pay off your card in full every month, getting too close to your limit can still hurt your credit depending on your record and who issued the card. Some credit cards allow multiple payments per month. So, if you want to continue using your card, you may want to try paying it off in small chunks throughout the month. Staying on top of your credit card payments is like staying on top of your taxes — owing money is never good. If you’re interested in getting a leg-up at tax time check out this article to see how a 1031 Exchange can benefit you. Fixing your credit score doesn’t have to be scary or stressful, all you have to do is stay vigilant. 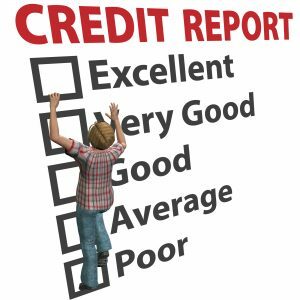 And, now that you know how to get excellent credit, its time to get to work boosting your score. Are you looking for a little extra financial help? We’ve got you covered. We have plenty of tools, tricks, and tips to help you stretch your dollar and take control of your financial future. For more information about our available resources or to get started taking control over your money.